Celtic are riding a wave of positive results and magnificent performances, which they will hope to continue against Livingston on Sunday. The Hoops return to Scottish Premiership action after a terrific 2-1 victory over RB Leipzig in the Europa League on Thursday. After such an impressive performance manager Brendan Rodgers must decide whether to stick or twist with the team that performed so well against the German outfit. Expect him to opt for the former, largely. 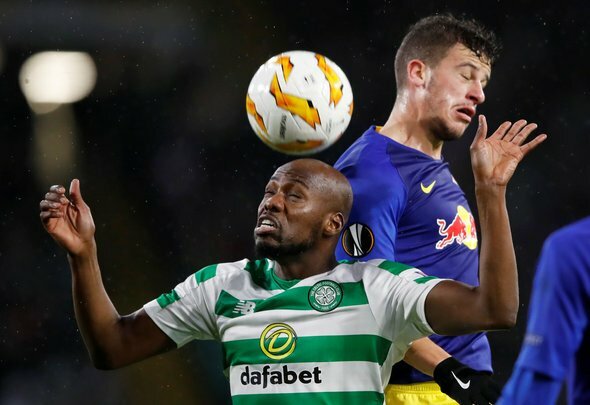 The Northern Irishman is likely to make just one change from Thursday’s game, with midfielder Youssouf Mulumbu coming in for 23-year-old Ryan Christie. Craig Gordon is the undisputed number one in this Celtic team and will almost certainly continue in goal, while Mikael Lustig looks set to maintain his position at right back. Kieran Tierney excelled against Leipzig and is one of the first names on the team sheet at left back, expect him to get the call once again here. Filip Benkovic and Dedryck Boyata have formed a solid partnership in the heart of the defence recently and will likely continue here. Mulumbu returned off the bench on Thursday and will look to build on that cameo against Livingston. There’s only so long you can play without a genuine defensive midfielder in your line up, and Mulumbu protects against that. His potential selection as a midfield general would allow Tom Rogic to move forward into a more attacking role, with Christie likely dropping out. The youngster has been excellent of late but deserves a rest after playing so many games in quick succession. James Forrest and Scott Sinclair are fairly automatic selections on the flanks, and will surely start again on Sunday. Odsonne Edouard is the team’s only fit centre forward, and is almost certain to start after scoring the winner on Thursday.